Our brand new Bright Green exhibition stand has been designed to show all of our LED systems in a series of light boxes and displays. 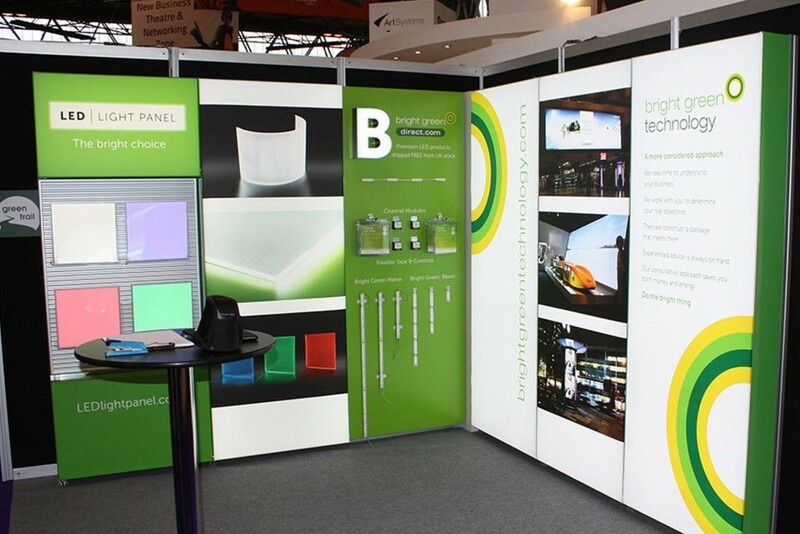 The three exhibition lightboxes on the right hand side are illuminated with Bright Green Matrix and the centre light box on the left hand section is lit using Bright Green Beam. The other panels show Bright Green Light Panel and the more standard LED products that are available to buy on our Bright Green Direct website.